Kim Kardashian is seen.NON EXCLUSIVE September 08, 2016. Kim Kardashian completed her outfit with slouchy black thigh-high boots by Balenciaga. 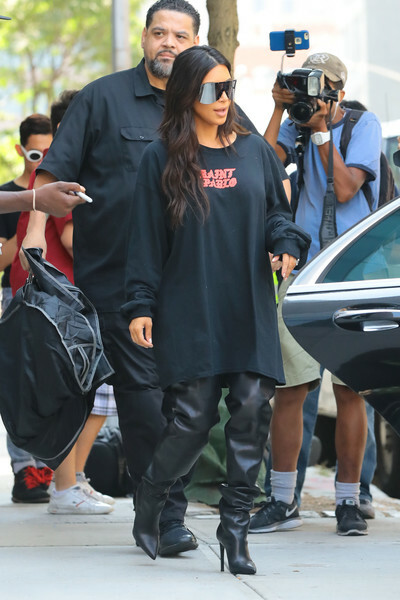 Kim Kardashian hid her famous curves under a baggy 'Saint Pablo' sweatshirt for a day out in L.A.